The story is over 50 years old. But so am I! And it continues to make a good point. Supposedly it began with a letter to the editor of a local newspaper. I notice that ministers seem to set a great deal of importance on their sermons and spend a great deal of time in preparing them. I have been attending services quite regularly for the past thirty years and during that time, if I estimate correctly, I have listened to no less than 3,000 sermons, but, to my consternation, I discover I cannot remember a single one of them. I wonder if a minister’s time might be more profitably spent on something else? I have been married for 30 years, during that time I have eaten 32,580 meals — mostly of my wife’s cooking. Suddenly, I have discovered that I cannot remember the menu of a single meal. And yet, I have received nourishment from every single one of them. I have the distinct impression that without them, I would have starved to death long ago. 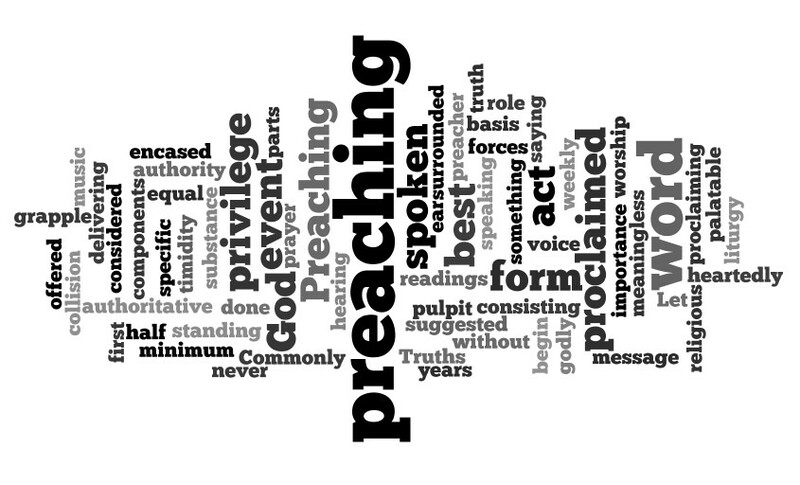 The Bible has a good deal to say about preaching. These three points are obvious. (1) God has ordained preaching to accomplish His plan. The Great Commission directed the apostles to preach the gospel to the whole world (Mk 16:15-16). Their mission was clear. And their resolve was focused. It was a preaching ministry! (2) What the world considers simple, unsophisticated, and lacking in erudition, God has endowed with purpose and power. The world in Paul’s day doubted the value of preaching. Not much has changed. But the apostle affirmed, “For the message of the cross is foolishness to those who are perishing, but to us who are being saved it is the power of God,” (1Cor 1:18) The gospel was and is God’s power to save the lost (Rom. 1:16). Preaching Truth will convince people’s minds, touch their emotions, prick their consciences, and change their decisions. (3) The human race still needs preachers and preaching. God has entrusted the message of His Word in “earthen vessels.” Men with feet of clay, who are sinners saved by grace. Yet, who feel a passion to share the gospel. Preaching reminds us all that sin is a constant threat to our spiritual well-being. “All have sinned and fallen short of the glory of God” (Rom. 3:23). Preaching brings us good news from God . It’s a message of love, mercy and grace. Of divine forgiveness. The absolution of guilt. And the hope of eternal life with God. This week, I am pleased to be participating with three other preachers in lectureship at the Southside church in the Houston area. We’ve come to Pasadena to preach! The long time preacher here, Dee Bowman, often says, “preaching is the gospel in personality.” We each bring with our individual styles and personalities but with one common message. May all of us who preach be able to echo the resolve the Paul. And may our hearers hold us to this high standard.